Find and compare the best prices from a range of well known car rental companies at Kefalonia Airport. This is a free to use facility, enabeling you to book direct with the company quoting the price. 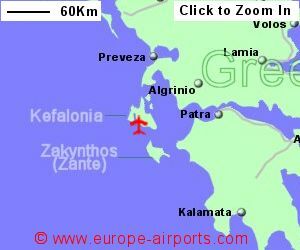 Kefalonia Airport, otherwise known as Airport, is located 9 Km west of Argostoli, the capital of Kefalonia Island, the largest of the Ionian islands, western Greece. There is a shortage of public transport at Kefalonia airport but taxis are available and a number of hotels offer free minibus transfers. 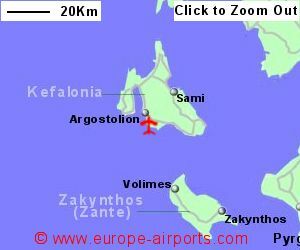 Kefalonia being the largest of the Ionian islands, some resorts are upto 50km from the airport. A taxi into Argostoli is likely to cost 25 Euros. Kefalonia airport has 2 bars/restaurants and 3 shops. Passenger throughput was 629,000 in 2017, a 15% increase from the previous year.